In January I am visiting family in Germany, and they will be working the week of January 15th. My wife and I would like to go to Glashutte and finally visit the Lange factory, as well as visit the other manufacturer's as well. I had an offer in early 2015 to visit, but misplaced the contact information. 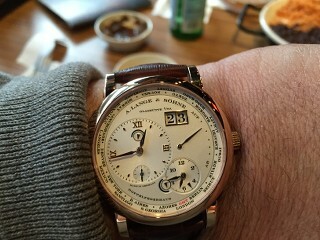 I can call the NYC boutique but I wanted to hear the experiences of any Lange afficionados who have also made the trip. Please share your experience and give me a contact to correspond with at the Lange factory in Glashutte.